Single or double sided static clings or stickers to direct customers to your website or special promotion using a QR code which can be scanned by a mobile. Make your choice from window clings for indoor window use or stickers for indoor or outdoor use. 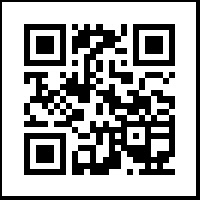 QR image size up to 12.5cm square - with or without company name written above. Please complete the 'Name to appear on design' if this is required, leave blank to have QR image only.